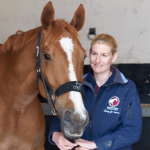 Offering the very best professional advice and care for your horses and ponies, our 10 equine vets have built up considerable experience across the full range of equine veterinary medicine. 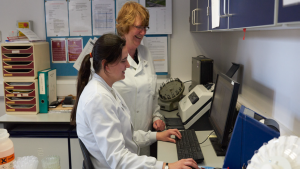 Our vets undertake at least 35 hours Continued Professional Development per year. 4 of our vets have completed their post graduate Certificate in Advance Veterinary Medicine, which takes around 3 years to complete, leading to recognition also by the RCVS as being Advanced Practitioners. Our vets have been with us for a considerable length of time, meaning we are able to build long term relationships with all of our clients. Katie has worked at our Practice since graduating from Bristol University in 2000. 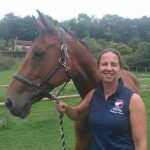 She works in the southern area of the Practice with a specific interest in both dedicated service competition and leisure horses. Katie completed her post graduate Certificate of Advanced Veterinary Practice (Cert AVP (EP)) in July 2012 and is recoginised by the RCVS as an Advanced Practitioner. Having grown up with horses, Katie is no stranger to equine competition herself competing in dressage events and obstacle races. In her spare time she also likes to run. Peter has been an equine vet for over 30 years since qualifying from Dublin in 1982. He joined the practice in 1987 and became a Partner in 1990. Peter comes from a long line of equine vets, following in the footsteps of both his father and grandfather. 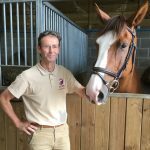 Since joining the Practice he has been the appointed vet for the thoroughbred stud for Juddmonte near Henley and has therefore built up a wealth of experience in stud medicine, Peter covers the southern part of our Practice, providing a fully equipped mobile clinic facility for clients. Tim graduated from Cambridge University in 1984. 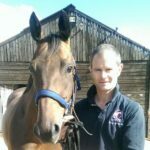 He has a broad base of veterinary experience having spent 9 years in mixed (mainly equine) practice before joining our Practice in 1993. He became a Partner in 1995. His experience has given him valuable surgical skills and he performs most of the surgical procedures at our equine clinic. 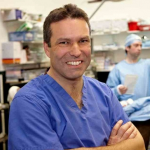 Tim is an experienced stud vet and also has a particular interest in orthopaedics. Tim rode out for a racing stables in Newmarket and other stables elsewhere for 10 years during his first years in practice. In his spare time Tim enjoys playing golf, rowing and skiing. Ed graduated from University College Dublin in 1997. 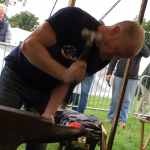 He spent 2 years in a mixed practice in Devon before joining our Practice 1999. As well as supporting Tim and Terry in the northern area of the practice, he is our resident 24hr veterinary surgeon at our Barrettstown Equine Clinic, where he is responsible for the care of inpatients and for much of the diagnostic work - including x-ray and ultrasound scanning, and for treatments such as shockwave therapy, and anaesthetics during surgical procedures. Ed is also the primary vet for the Pat Eddery Racing yard near Aylesbury. Terry graduated from Trinity College Dublin in 1973 and joined the Practice in 1975 setting up the equine side of the Practice. With over 40 years experience Terry has been the appointed vet to both the Irish Senior and English Young Rider Event Teams, and an FEI veterinary delegate at Blenheim Horse Trials. His interests lie particularly in the management of the competition horse, including pre-purchase examinations as well as stud medicine. Terry is also an experienced horseman; he has evented at 3 and 4 star level and was a member of the Irish Three Day Event Team from 1986 to 1996, competing in the European and World Three Day Eventing Championships. Terry retired as a Partner at the end of 2014, but continues as a full time consultant with the Practice, ensuring that clients and our vets continue to benefit from his considerable equine and veterinary experience. Terrys son Harry now runs his own string of Eventers and competes up to 4 star level on horses, many of which are owned by Terry, who attends one day and three day events on a weekly basis. Laura graduated in 2005 and then worked in mixed and equine practice in Essex for 7 years before moving to Buckinghamshire and joining the practice in 2014. Her main interests are equine anaesthesia, equine dentistry and care of elderly horses. Laura completed her post graduate Certificate in Advanced Veterinary Practice (Cert AVP) in 2015. Outside of work she is busy with her 2 young boys and also enjoys riding, skiing and walking her dog. Jo graduated in 2014 from Cambridge University and went on to work in mixed small and equine practice in Bedfordshire. 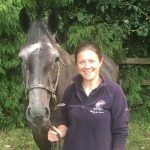 After 2 years Jo decided that she wanted to specialise in equine veterinary practice and joined us in March 2017. She is very passionate about horse welfare, and after graduating in 2014 Jo volunteered for the charity SPANA, helping provide veterinary care in Morocco for the working horses and donkeys. Outside of working hours, Jo is studying hard as she has recently begun a post graduate Certificate in Advanced Veterinary Practice (Cert AVP). Hobbies include snowboarding, badminton, and dog walks with her Cockapoo ‘Hugo’ who some of you may have seen travelling around with Jo on visits. Irene joined our practice in 2017 and is part of the north team . She graduated in Spain in 2001 and then moved to Ireland where she spent a year in mixed practice before specialising in equine practice. She spent a further seven years in Ireland working mainly with thoroughbreds as a stud vet. In 2010 she moved to England and spent a few years in a first opinion practice in Lincolnshire , where she continued broadening her experience. Irene is passionate about stud medicine, diagnostic imaging and internal medicine. She is also one of the main vets involved with sarcoid laser removal and gastroscopy at our equine clinic. In her spare time she enjoys family time with her two children, walking her dogs on the countryside and travelling. For specialist veterinary investigations and treatments we use the services of some of the best veterinary and farriers in the country. Geoff graduated from the Royal Veterinary College (RVC) in 1969 and after post-graduate training at the University of Bristol and the RVC he was awarded the Fellowship of the Royal College of Veterinary Surgeons in 1974. Geoffrey joined the staff at the University of Bristol in 1974 and taught soft tissue surgery there until 2007. Since then Geoff has developed a private referral practice in equine ENT surgery. Today this generates over 500 surgeries annually. A past-President of the British Equine Veterinary Association (1989) he has been a Director of the Equine Veterinary Journal as well as being on its Executive Committee and Editorial Advisory Board. He is particularly interested in comparative aspects of oto-rhino-laryngology. Geoff is recognised by the RCVS as a Specialist in Equine Surgery and is a holder of its Diploma in Equine Soft Tissue Surgery. He has published over 100 articles on comparative ENT disorders but in recent years his research interests have concentrated on the diagnosis and surgical management of respiratory impediments in athletic horses. In addition to his 3 year Equine Surgery residency at the University of Bristol, which Bruce completed in 1998, he has several post graduate qualifications; a Certificate of Equine Practice in 1992, Certificate of Equine Surgery in 1996,Diploma of Equine Soft Tissue Surgery in 1999 and finally Diploma of the European College of Veterinary Surgeons in 2001. He has been a RCVS registered specialist in Equine Surgery since 2000. Bruce is a Partner at the Donnington Grove Equine Referral Practice, and his passion is equine surgery and surgical disease of the horse. 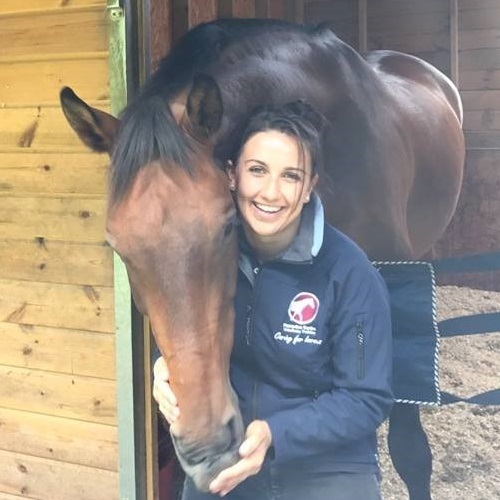 During the last twenty years Sam has worked on many Olympic horses and shod for the best in the equestrian world, being flown abroad by clients at times. He has built on experience gained and works with the vets towards improving and maintaining soundness in all horses for all disciplines. Our Equine Nurses and Nursing Assistants provide invaluable support to our vets at our Barrettstown Equine Clinic. 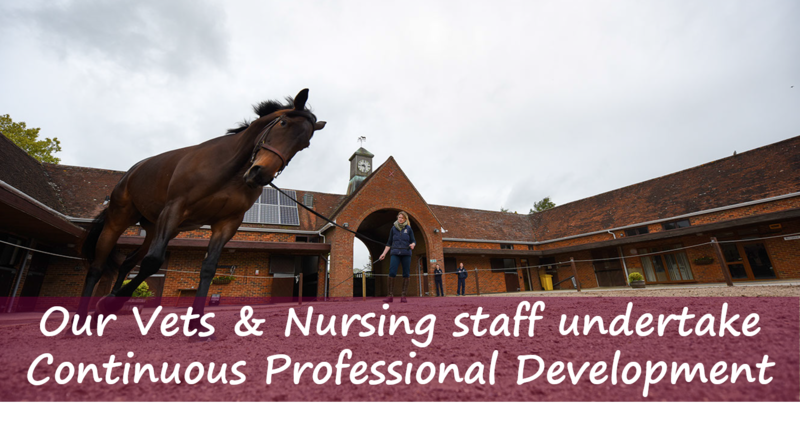 As well as having considerable experience as horsemen themselves, our Nursing Assistants complete a comprehensive training programme and complete external accredited equine nursing qualifications. Caz Langman, Equine Nursing Technician, Clinic Manager. 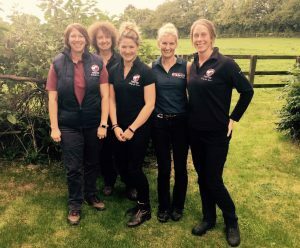 Our Equine Support Staff provide a caring and flexible service with the aim of ensuring the vet is able to visit you at the time you want and any of your enquiries are answered to your satisfaction. Our support staff are the first point of contact for our equine clients.